Carrie Mae Weems: The Usual Suspects will be on view at the LSU Museum of Art April 12 through October 14, 2018. 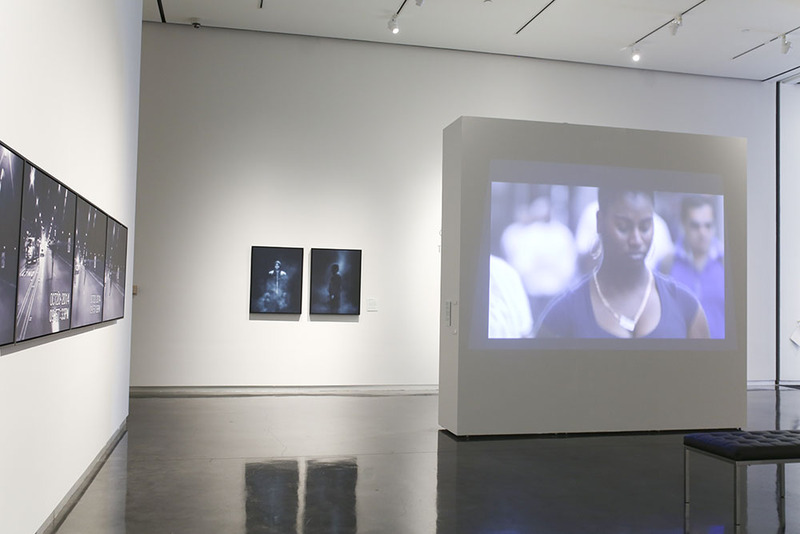 In collaboration with the LSU School of Art, Carrie Mae Weems: The Usual Suspects includes recent photographic and video works questioning stereotypes that associate black bodies with criminality. 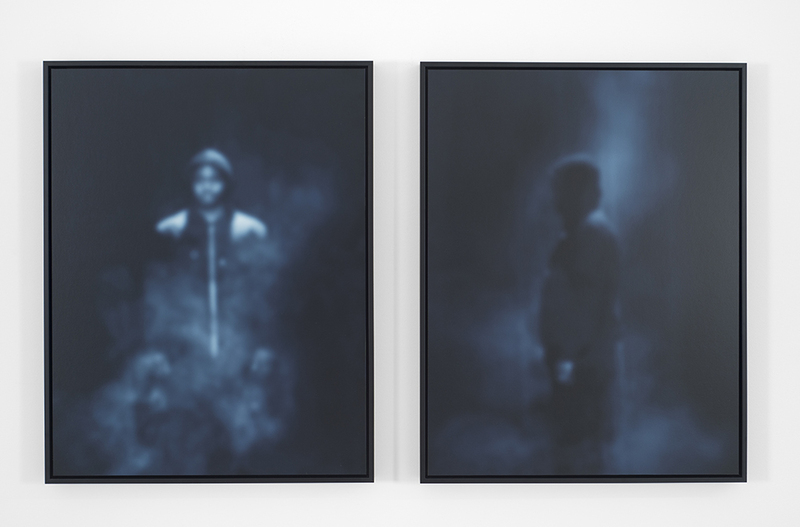 Images from the All the Boys and The Usual Suspects series implicate these stereotypes in the deaths of black men and women at the hands of police, and confront the viewer with the fact of judicial inaction. Blocks of color obscuring faces point to the constructed nature of our notions of race and how these imagined concepts obscure humanity—here with very real and deadly outcomes. People of a Darker Hue, a meditative compilation of video, found footage, narration, and performance commemorates these deaths. Selections from Weems’ expansive oeuvre will also be featured in several Art in Louisiana: Views into the Collection galleries concurrent with Carrie Mae Weems: The Usual Suspects. Upon entering the museum, viewers will see a large work from 2003’s The Louisiana Project that reads, “While sitting upon the ruins of your remains, I pondered the course of history." This quote signals the critical lens Weems’ work will inspire as it appears alongside the LSU MOA permanent collection. 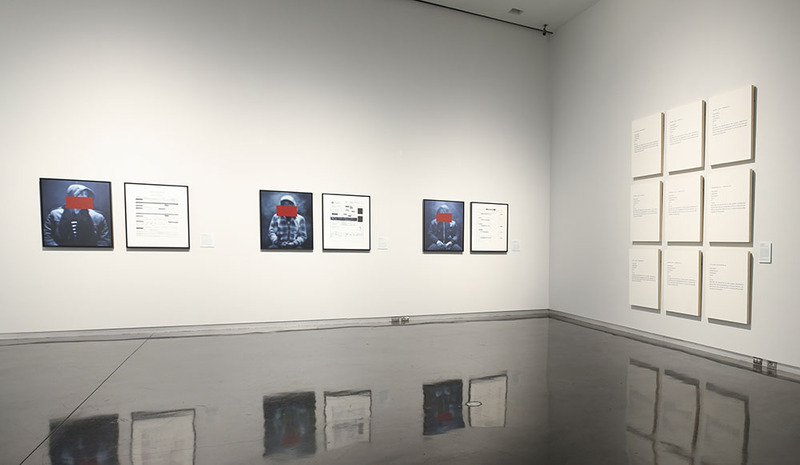 Inclusion of works from Weems’ Slave Coast, The Louisiana Project, From Here I Saw What Happened and I Cried, and Slow Fade to Black series will broaden—and make explicit—conversations about identity, power, gender, race, and class that sometimes pass under the radar with historic art collections. Weems has participated in numerous solo and group exhibitions at major national and international museums including the Metropolitan Museum of Art, The Frist Center for Visual Art, Solomon Guggenheim Museum in New York, and the Centro Andaluz de Arte Contemporáneo in Seville, Spain. She is represented in public and private collections around the world, including the Metropolitan Museum of Art, NY; The Museum of Fine Arts, Houston; the Museum of Modern Art, NY and Museum of Contemporary Art, Los Angeles. 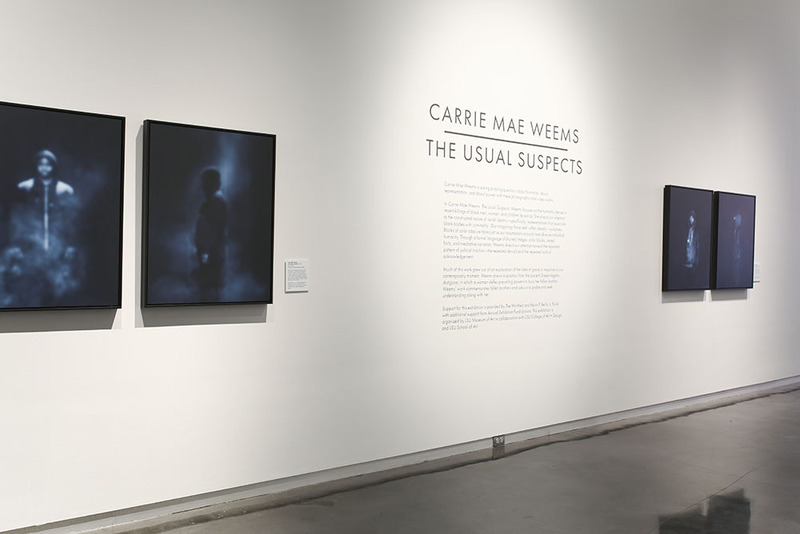 Carrie Mae Weems: The Usual Suspects is a collaboration between the LSU College of Art + Design, the LSU School of Art and LSU Museum of Art. Support for this exhibition is provided by The Winifred and Kevin P. Reilly Jr. Fund with additional support from Annual Exhibition Fund donors: The Imo N. Brown Memorial Fund in memory of Heidel Brown and Mary Ann Brown; Louisiana CAT; Charles Schwing; Alma Lee, H.N. and Cary Saurage Fund; Newton B. Thomas Family/Newtron Group; LSU College of Art & Design; and Susanna Atkins McCarthy. Student artists and writers release a zine produced through LSU MOA in conjunction with Carrie Mae Weems: The Usual Suspects. Baton Rouge-based neo soul band Ria Rosa performs on the Shaw Center rooftop terrace. $10 for general public, $5 for LSU MOA members, free for students/faculty with ID. LSU MOA curator Courtney Taylor gives a tour of the permanent collection exhibition, Art in Louisiana, with a special focus on the inclusion of Carrie Mae Weems' work. Free to attend. In conjunction with Carrie Mae Weems: The Usual Suspects, New Venture Theatre performs a selection of monologues from "Hands Up: 7 Playwrights, 7 Testaments." $10 for general public, $5 for members, free for Contemporaries. Cash bar. Cool off in the museum with a walk through the "Carrie Mae Weems: The Usual Suspects" and "Art in Louisiana: Views into the Collection" exhibitions and a performance from Ship of Fools' cellist Raudol Palacios.